UFCW Local 12R24 cares about its members both on and off the job. That’s why we have special programs to assist our members in areas of life that fall outside the collective agreement. Link to our official MAP website HERE for more information. 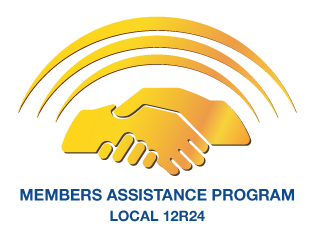 These services are provided at no cost to Local 12R24 members, whether your status is Full-time, PPT or Temp. The services are paid for through hourly contributions from the employer that have been negotiated by your union. All enquiries and services are treated in the strictest confidence. Neither the union nor the employer is ever informed of who sought assistance. Indeed, no one except the consulting professionals will ever know your identity or concerns unless you personally tell them. It’s the same as seeing a doctor or a lawyer. Please feel free to make enquiries even if you aren’t sure you need assistance. A single phone call could make your life better. And please don’t hesitate to mention the Member Assistance Program to a fellow worker who might be in need. Looking after one another is what the Union is all about. Due to the very personal nature of MAP services, email is never used for communication.